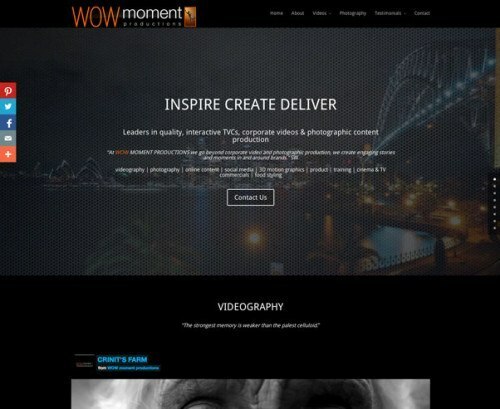 I’ve just finished building a shiny new website for the amazing WOW moment productions. Was a big job, but a great job. So much amazing content to use, it was hard to narrow it down. The team at WOW moment productions do some beautiful work, I was glad to be chosen to design and build their website. You should check it out, especially if you might need some production work for your business. Or if you just want to see some stunningly mouth watering food photography! Don’t forget, if you’re in need of some website work yourself, hit me up on the contact page.